I have saying all along if we get just one Diamond to turn to our side, the most likely one is Yellow. One thing I say about Yellow of all the Diamonds, she is the cool one, so that is why she is most likely of our would be allies. I agree with Alex about White Diamond is watching all this through White Pearl. Speaking of Pearls, Blue Pearl is just too precious. She is so innocent and pure. 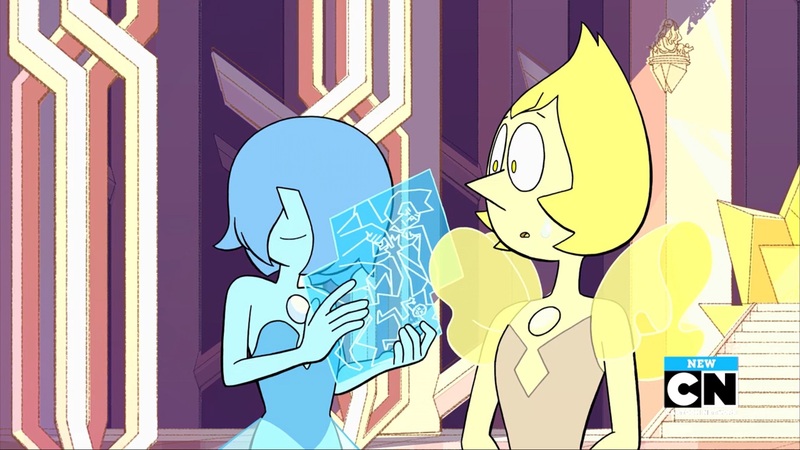 So Blue Pearl paints pictures of Yellow Pearl, shipping fuel?